Enrico Calando of Research ICT Africa presents results from a survey on the perception of African stakeholders on internet governance structures and processes. An animated discussion on the reasons for lack of African participation in internet governance took place at a roundtable organized by Research ICT Africa at the 2014 IGF in Istanbul. “There is no coordinated approach nationally or within countries in Southern Africa Development Community (SADC) region in providing data or research on internet policy” a representative from the government of Malawi said. Another stakeholder from the private sector said there is “no cohesion amongst all these groups” and a representative from ISOC, despite being regarded as one of the most effective organizations in internet governance acknowledged that “more needs to be done in respect to developing concrete outcomes from these meetings” referring to the IGF. The debate amongst the largely African audience representing a spread of stakeholder groups was prompted by the presentation of research conducted by the ICT policy think tank in collaboration with NEPAD Agency, on mapping multistakeholder participation in internet governance from an African perspective. Funded by the Annenberg School for Communication at the University of Pennsylvania as part of the Internet Policy Observatory project at the Center for Global Communication Studies, the research was conducted through a survey on the perception of African stakeholders on internet governance structures and processes. Respondents were requested to provide detailed opinions on the effectiveness of internet governance structures and processes. Responses were collected from 41 stakeholders who were contacted through three mailing lists of individuals involved in internet governance in Africa at different levels. The level of the education of the respondents was high as most had a tertiary qualification (37% Masters degree, 27% BCs/BA degree). Respondents were well spread across the African continent and the majority of them belonged to Civil Society Organizations (CSOs)/Non-Government Organizations (NGOs) (34%) followed by multilateral organizations (22%) and academic institutions (19%). A good response rate came from respondents operating at a national level (47.5%). In regard to the question on the most relevant internet governance issues for Africa, 65% of the respondents acknowledged that access is the most pressing issue across the continent. This is followed by internet for development issues (58%) and by internet content regulation (48%). The research examined what are, according to the experts, the most effective organizations, forums or processes in representing internet governance issues from an African perspective. 58% of respondents agreed on the fact the African Internet Governance Forum (IGF) is the most appropriate forum to take these issues forward. Global IGFs and National IGFs were also considered effective by 32% of respondents. 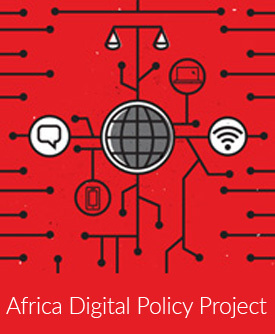 The survey also investigated the reasons why African stakeholders do not effectively participate in internet governance fora as this is one of the main concerns in internet governance from an African perspective. 87% of respondents declared that lack of financial resources as the main factor preventing their effective participation. This is followed by lack of awareness of dates and venues (26%) and by a general disinterest in these issues (21%). A set of questions explored the effectiveness of different internet governance structures and processes to address some of the most pressing internet governance functions, such as providing information, data and research on internet policy, advocating for internet rights, developing internet technical standards and protocols, and regulating internet content or cybersecurity. The ISOC emerged as the most effective organization in terms of providing information, data or research on internet governance from an African perspective. Inversely, national governments were considered by the majority of respondents as the most ineffective organizations to provide this kind of information. A platform considered very effective in providing a space for discussion on data or research on internet governance was the Global IGF followed by the African IGF. The ISOC was also considered the most effective organization in advocating for internet rights as such as the global IGF and the African IGF. From a technical governance point of view, the Internet Engineering Task Force (IETF) was recognized as the most effective organization among those mentioned in the survey for the development of technical standards and protocols. One of the reasons for this was expressed by a respondent from the ISOC who stated that “some of the organizations such as IETF and Internet Architecture Board (IAB) are highly effective since they bring together engineers from different parts of the world and harness their contribution in developing a global internet”. The W3C and ICANN were also perceived as relatively effective in developing technical standards and protocols. Issues around content regulation are at the top of the internet governance agenda from an African perspective. The ISOC was considered the most effective organization to regulate internet content or to provide technical support on internet content regulation, although “it is not an issue that has really been brought out properly in a structured manner in Africa, to me it seems other areas are of more importance” declared a representative from an NGO. The global IGF was regarded as the most effective platform to discuss and learn about internet content regulation. Conversely, issues around cybersecurity regulation are better addressed at an International Telecommunication Union (ITU) level and by national governments, according to the respondents. “State/governments are better placed to tackle cyber-crime issues. But cooperation is needed among them” was mentioned by a respondent from an academic organization. However, although the ITU emerged as the most appropriate organization to regulate these issues, both the Global IGF and the African IGF have been recognised as effective in providing a platform to discuss and learn about these issues. Additionally, the ITU is the most effective organization, according to the participating stakeholders in the research, for the development and implementation of internet for development programmes and projects. Internet governance is not just about discussing internet issues and sharing ideas and opinions. Reaching an agreement in these fora is of paramount importance. In this regard, from an African perspective, according to 80% of respondents the ICANN is the most effective venue for making decision or reaching an agreement in the area of internet governance in which they have a mandate. Further more, the ITU and the African Union were considered highly effective, scoring 63.3% for the former and 43.3% for the latter. However, “While ITU and ICANN are most effective on acting on their mandate, they have not yet been able to build a consensus on internet governance which remains at an impasse” pointed out a representative from a think tank. The final section of the questionnaire provided space for an open discussion around multistakeholderism. In addition to the common understanding of the concept in terms of “bringing stakeholders together to participate in the dialogue, decision making, and implementation of solutions to common problems or goals” (representative from the government of Malawi), according to a member of an African think tank, “multistakeholderism means increased accountability, transparency and accessibility to decisions taken in the public domain”. As a new form of governance, as stated by an NGO based in DRC, it supports the identification of innovative solutions to complex problems. From a decision-making point of view, an ISOC respondent from Uganda chapter stated that all players participate and are equally represented and have equal decision making power in the IG deliberations”. Other respondents were more concerned with the predominant role of governments and on their capacity to influence the US agenda on internet governance: “multistakeholderism in the final analysis is subject to the rules of their national governments and not as it is currently being advocated only subject to USA rules” expressed a representative from an international organization. At the question on to what extent multistakeholderism is practiced, feasible or applicable in existing (internet) governance and policy structures in Africa, an African think thank respondent stressed that “the failure of many African countries to meet the democratic thresholds of representation and participation make multistakeholder engagement unfeasible or impossible at the national level, which translates in lopsided participation at the international level (unless sovereign member state representation is circumvented in some way)”. Respondents also had the opportunity to suggest how to strengthen Africa’s internet governance ecosystem and make multistakeholderism work more effectively. Some of the recommendations to improve multistakeholder participation in internet governance from an African perspective included “capacity building to understand internet governance concepts” (ISOC Uganda representative), “commitment to adopting fundamental human rights principles” (African think tank representative) and “to reach out to African governments and ensure they participate effectively in the internet governance debate” (ISOC Kenya representative) were some of the recommendations made to improve multistakeholder participation in internet governance from an African perspective. However, “the prospects of creating effective, democratic, participatory governance arrangements are bleak without these first being addressed in non-digital world” was mentioned by a representative from a think tank as her vision with respect to multistakeholder processes and internet governance. To conclude, from an African perspective, internet governance issues need to be addressed in different fora and at a different levels, depending on the issue under discussion and on the group of stakeholders required to be involved in specific internet policy areas. Taking into account the complexity of the internet governance ecosystem, there is no one solution fits all in terms of identifying an optimal structure and process to address internet governance issues. The participation of African stakeholders to internet governance fora is suboptimal, and some of the main reasons for their low level of participation or inability to take forward an African agenda in these fora are lack of a coordinated approach on internet policy issues nationally or regionally and lack of cohesion among stakeholder groups. This is compounded by lack of financial resources, listed as one of the main obstacles hindering the effective participation of African stakeholders to internet governance fora. Nevertheless, many pressing issues need a coordinated and multistakeholder effort to be properly tackled. Among these, the low level of access, in particular to broadband, in many African countries, is the most pressing internet governance issue in Africa. African issues are better represented and discussed at an African IGF level, which provides a representative forum for the discussion of African internet governance issues. Similarly, the ISOC, which has many national chapters in different African countries, is considered the most effective organization both to provide information, data and research on internet governance and to advocate for internet rights. Conversely, issues around cybersecurity, are better addressed by multilateral organizations with decision-making powers such as the ITU or by national governments. Instead, from a technical governance of the internet point of view, technical bodies such as the IETF and the IAB are better placed to address technical issues of the internet also from an African perspective.